With great sadness we learned that Anne Kirkpatrick Smarr died this week. 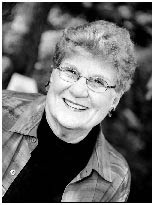 COLUMBIA - Service for Anne Kirkpatrick Smarr, 73, will be held Saturday at 2 p.m. at Forest Lake Presbyterian Church. The family will receive friends in the church parlor following the service. Dunbar Funeral Home, Devine Street Chapel, is assisting the family. Mrs. Smarr, wife of the late Col. Albert Ward Smarr, Jr., U.S. Army, died Tuesday, December 30, 2008. 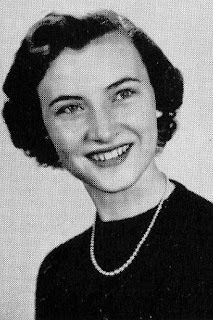 Born in Rock Hill, she was the daughter of the late John Craig Kirkpatrick, Jr. and Mary Frances Neeley Kirkpatrick. She was an avid Bridge player and a former member of Fort Jackson Officers’ Wives Club. Surviving are sons and daughters-in-law, Art and Ruth Ann Smarr, Lt. Col. Rick Smarr, all of Columbia, John and Kelly Smarr of Wadmalaw Island; daughters and son-in-law, Linda Smarr of Gulf Breeze, Fla., and Joan and Larry Spivey of Columbia; grandchildren, John, Matt and Preston Smarr, Elizabeth and Ed Storch, Andy, Will and Caroline Smarr, Kaelin and Hunter Spivey and Michael Albert Smarr; and brother and sister-in-law, Jack and Barbara Kirkpatrick of Huntsville, Ala.
Memorials may be made to Palmetto Place Children’s Emergency Shelter, P.O. Box 3395, Columbia, SC 29230 or Forest Lake Presbyterian Church, 6500 North Trenholm Road, Columbia, SC 29206.